The first thing you need to realise is that playing poker online is very different to playing poker in the usual face-to-face way. It’s a whole different ball game, well, card game. You may be very good at reading someone who is sat in front of you, but when it’s online, the number of ‘tells’ are reduced. They don’t talk, you can’t hear their voice – all you have really is their betting patterns. So, forget what you know about face-to-face poker – online poker is a world apart. For example, some newcomers to online poker can’t get their heads around having a set amount of time to act. It can be a major change from the live poker world where a player usually has at least a few minutes to make their decision before being in danger of having the clock called. Online is different – you only have a certain amount of time to act. Secondly, we recommend that you start playing at the smaller tables first. Just because you may be a poker gun in real tournaments or down your local pub or RSL, it doesn’t mean you’ll be a weapon of mass destruction in the online world. Be safe, go to the smaller tables and learn the differences between playing online and in person. Get used to the software and know the website you are using inside out. Understand the differences between online and real live poker on the smaller tables first. Next up, we recommend not falling into the trap of having distractions whilst playing poker online. What we mean is that it can be difficult to focus on poker and poker alone whilst at home on your laptop or PC. There are distractions – the tv, the missus/partner, your dog or cat, a knock at the front door, your mobile phone – anything can cause a lapse in concentration. Be aware that just because you’re playing at home doesn’t mean it’s easier. In fact, the more distractions, the higher the chance of you making the wrong call. If you’re playing online poker at home, the key word is focus. Our next tip for online poker is to watch your opponents carefully. A bit like real live poker, you need to track their moves. Why stare at your own cards when you can observe how your opponents are playing? How many hands do they play? What kind of hands do they play? How often do they raise? What kind of hands did they have when they raised? Do they bluff a lot? Are they floating the flop? 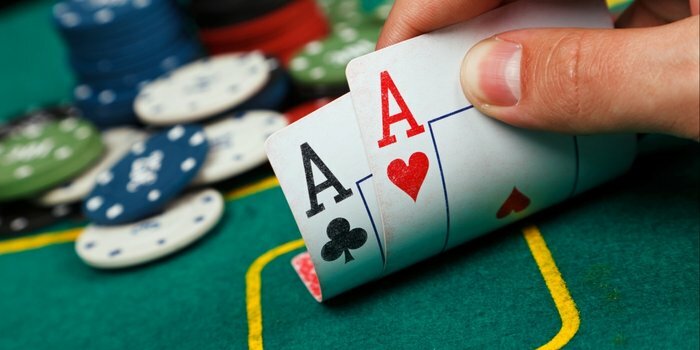 Keeping track of the little things that your opponents are doing makes it easier for you to guess what your opponents are holding – it’s similar to face-to-face poker. A raise from a player who usually doesn’t raise clearly has to be taken more seriously than from someone who is aggressive and raising all the time. By understanding how they bet, you can take notes and choose the appropriate action when you know what they’re up to.